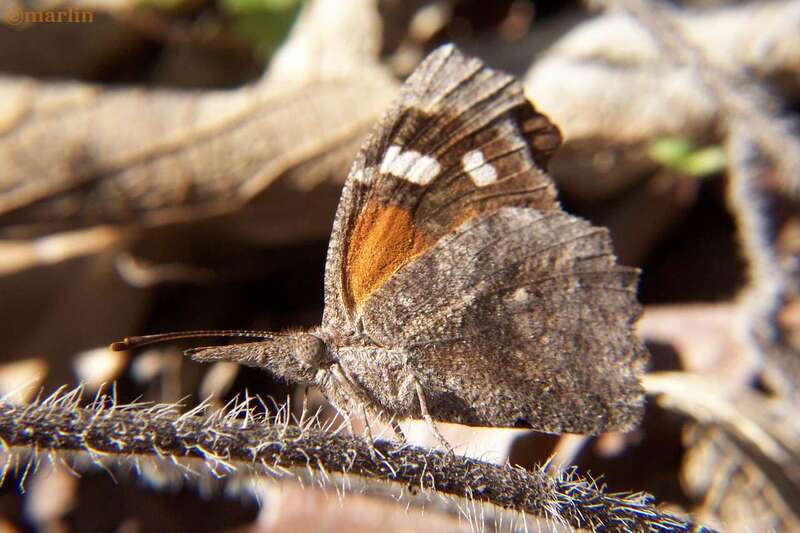 The American snout butterfly is known for its mass migrations which occur at irregular intervals when populations explode in the south and southwest. They may become so numerous as to darken the sky. One of these migrations was reported south of San Antonio in mid-September, 1996, where countless butterflies were observed flying northward. In late September 1921, a flock estimated at more than 6 billion southeasterly-bound snout butterflies passed over a 250 mile front (San Marcos south to the Rio Grande River). Gable and Baker (1922) noted that this flight lasted 18 days. This image is rotated 180 degrees – the butterfly is actually hanging upside down underneath this twig. 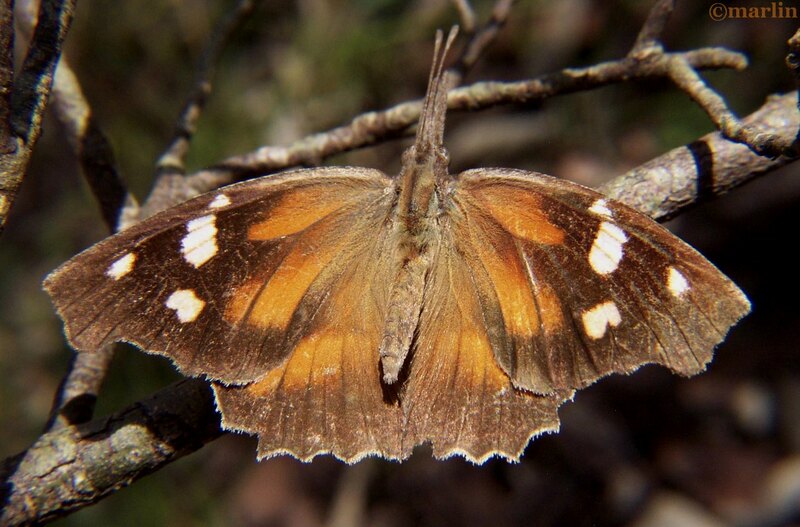 The snout butterfly has exquisite adaptive camouflage that uses different methods of visually dazzling / confusing would-be predators depending on the lighting conditions. 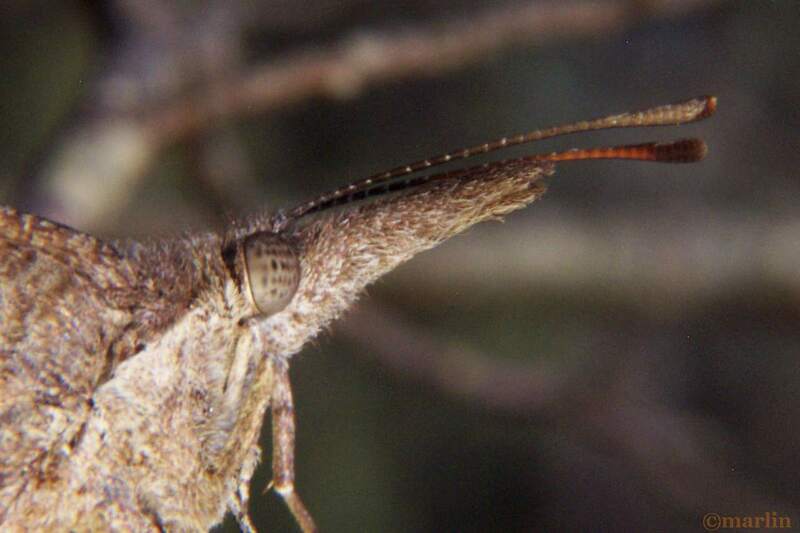 I found this very cooperative snout at MaCallister Park in San Antonio, Texas, in February of 2003. 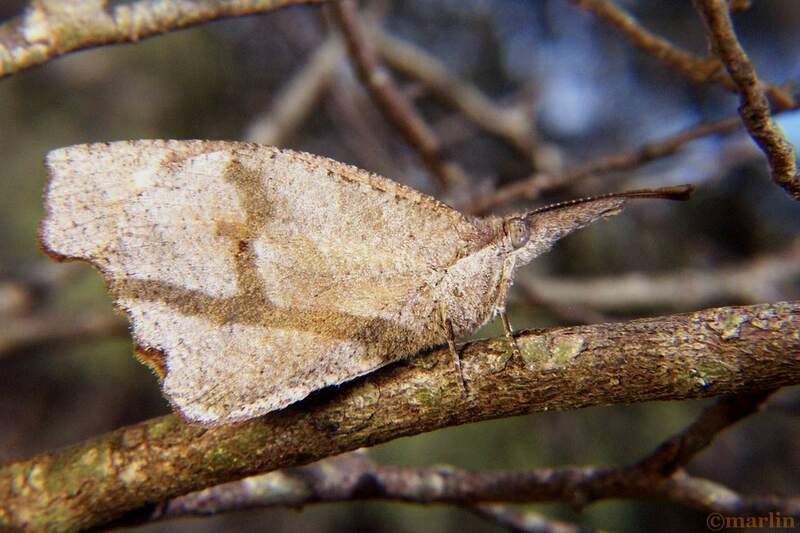 The Y-shaped markings on the underwing in this image are an illusion of camouflage. 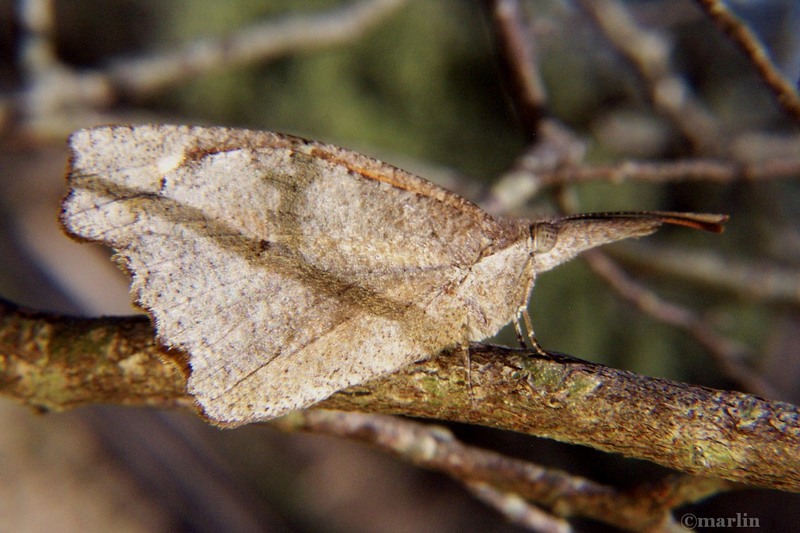 It’s really a shadow of a twig; the reflective surface of the wing’s scales provides an ever-changing pattern when the sun comes out -a pattern that does not look like a shadow – it looks just like a twig growing out of the branch the butterfly is sitting on – and also matches the background against which it is silhouetted – a jumble of tree branches. This is a fine example of visual dazzle – the same method used to disguise the outlines of battleships during the world wars. The butterfly has moved slightly, and the shadow has shifted. I believe these critters position themselves in the shadows so as to always present this illusion, with a twig growing out of its wing’s flat, straight bottom margin. These images were taken in natural light with a Kodak DC4800 point and shoot digital camera in 2003, using magnify lenses. Kodak made some mighty fine digital cameras (they invented them, after all) but let their camera business languish because they were still convinced their customers wanted film and color prints. I recently high-resolution scanned hundreds of my old color negatives taken with my Nikon FM during the 1970-1990 era – and found the range of color and the clarity of the image is unmatched in even my newest Canon. It’s like the difference between digital music at 128kbps and a nice analog vinyl disk; the tonal range is more silken, and the highlights are never washed out like digital cameras tend to do. Heck, there is even information in the darkest parts of an image, not that dreadful inky black background of digital. Kodak was right. Shoot film if you’re serious about your art. That is, if you can afford it!